One thing I learned during my cancer journey is that the one person you will communicate with the most is your oncology nurse. The nurse is the straight shot to your doctor, tests, appointments and so many other very important details. 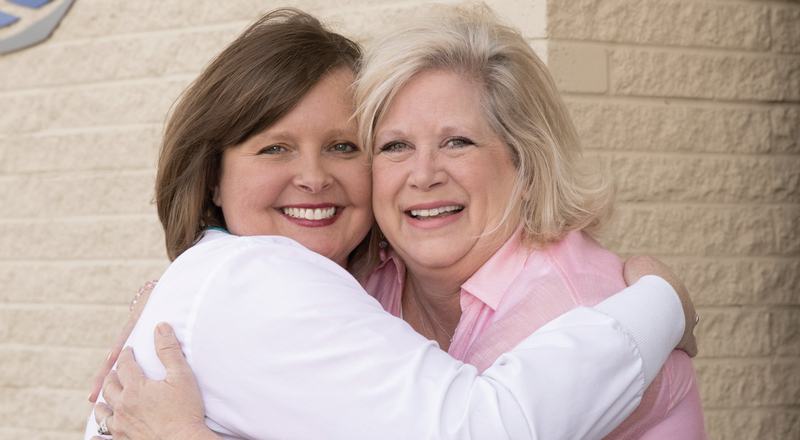 She is the advocate for her patients, and the two of you build a trusting relationship like no other. Starting out, you are overwhelmed and scared, but Nikki is always available with a great sense of compassion and a helpful answer. She gives you strength and courage to move forward to the next step. Nikki is the bomb! Nikki has always gone beyond her title to make me feel like something more than a piece of paper or a number; she is sincere and caring. I started my journey in 2011 with invasive ductal carcinoma and had all the bells and whistles. In May 2016, I was at my five-year mark of being cancer-free. In late June, I noticed an unusual pain and thought it was a kidney stone, but after a visit to a clinic and the emergency room for a scan, everything changed. I was told to contact my oncologist immediately, and it was Nikki I contacted. She set everything up with her positive voice and checked on me until my appointment to discuss the new finding: Metastatic to the bone, cancer had eaten a good section of the T10 vertebra. Nikki gave me her cellphone number so I could contact her if I needed anything. She provides me with so much guidance, love and friendship beyond her job because she is so compassionate! You don’t usually find someone who reaches out past their job requirements. She gives from the heart, and I call her my lifeline. I also have nine stents — six in the heart and three in the subclavian artery — so sometimes I get overwhelmed. Without her continual encouragement and support, I might not have pushed as hard to fight. The journey of cancer is a roller-coaster ride, but I’m thankful for the guidance, support, friendship and encouragement I get from my nurse. Her personality radiates a force of energy, and her patients know she is sincere. I have stage 4 cancer, but with Nikki as my nurse, I can climb any mountain because she shares her love of her patients, rising to a whole different level of care. I would not know what to do without her. I may ask a question and she will not only answer but also make sure she has covered all the information and connected all the dots. In an oncology nurse, I want someone who cares, is compassionate, dedicated and positive, and has a strong background of knowledge — and I have found that in Nikki. She is a radiance of pink!